The Rumble may be the main draw, the pay-per-view has still hosted some great world title matches. 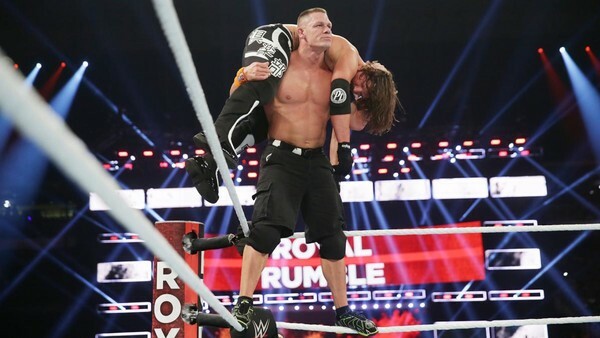 World championship matches at WWE's Royal Rumble pay-per-view have something of a reputation - and not necessarily a good one. Because WWE see the Rumble match as the main draw of the pay-per-view, they tend to put less focus into the singles matches at the show. Past examples have included Bob Holly challenging Brock Lesnar at Royal Rumble 2004, Dolph Ziggler taking on CM Punk in 2012 and AJ Styles taking on both Kevin Owens and Sami Zayn in a Handicap match for the WWE title just last year. However, the Rumble is still a 'Big Four' event, so the company does actually bother to put in the legwork and book big matches between big stars competing for the top prize. Today, we'll be looking at matches for any version of the WWF/WWE Championship, the World Heavyweight Championship or the Universal Championship. No ECW Championship matches, sadly. What a shame. With 2019's Royal Rumble pay-per-view just days away, let's cross our fingers that we get world title matches of this quality as we take a trip down memory lane looking at some of the best world title matches in the show's 30-year history. Jacob Simmons has a great many passions, including professional wrestling, music, watching random clips from The Simpsons on YouTube at 3am and writing about himself in the third person.